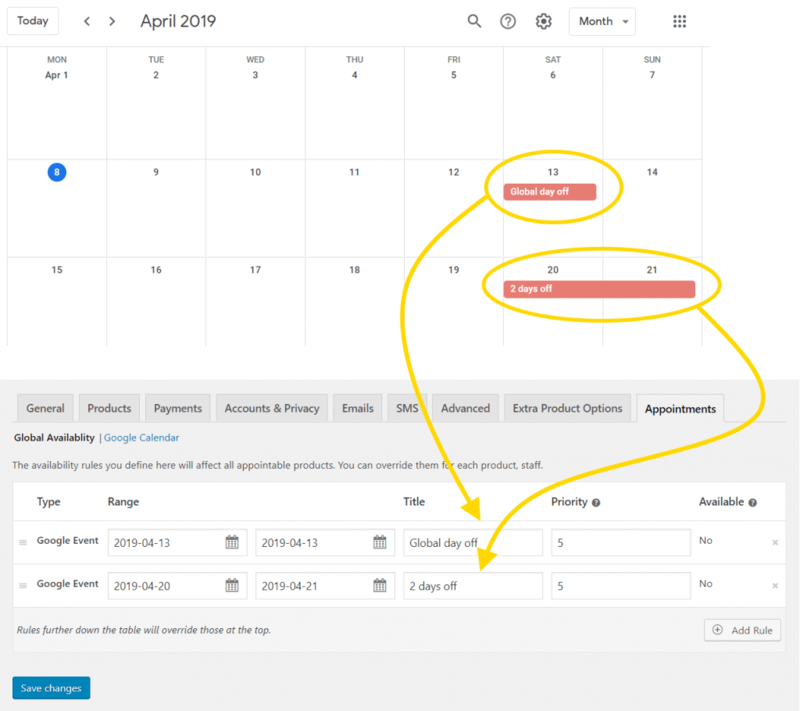 4.4 release marks a major milestone for the WooCommerce Appointments plugin. There are some major improvements in this and we’ll cover the biggest one in this blog post. It is Improved two-way Google Calendar sync for your Appointments / Bookings / Events. Setting up the synchronization is simple and requires you to set up Google Developers Console for the Calendar API. After that, you are ready to go. We also updated step-by-step guide for the connection process so you feel familiar with the new interface. Picking the calendar is very simple as you can link your preferred calendar directly from a drop-down list. No need for searching for the calendar ID string any more. 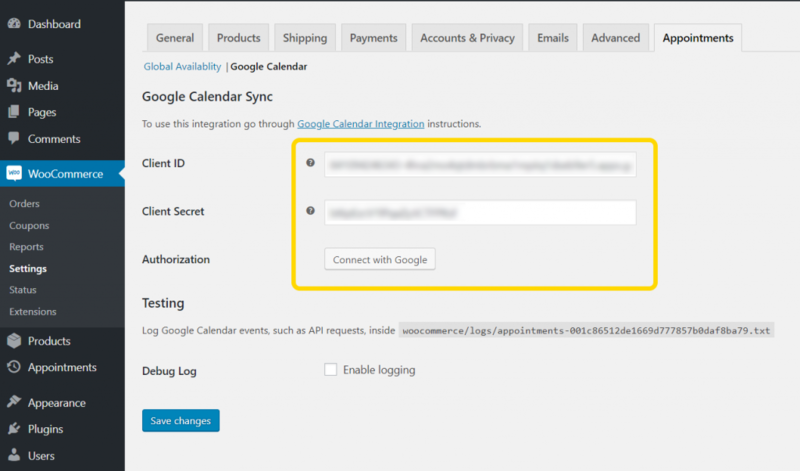 View all events synchronized from your Google calendar in your WooCommerce store. 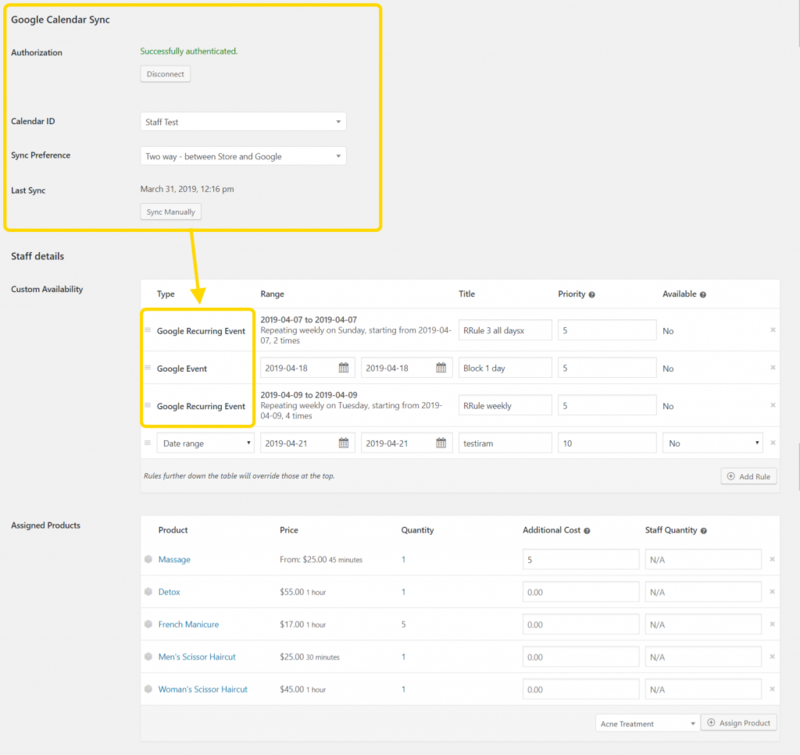 Events are synced back as Availability rules and saved the same way as availability rules. Recurring events are saved as recurring rules so there is no overwhelming list of individual events from the recurrence. You can edit events synced from your Google Calendar and sync back to your calendar with edited changes. You can change pretty much all event details, including the title. Staff now has full control over their synced Google Calendar events. They can edit or remove their synced events directly from their profile. Staff can also opt to only sync their appointments One-way even when your site is configured for two-way sync for the main calendar. 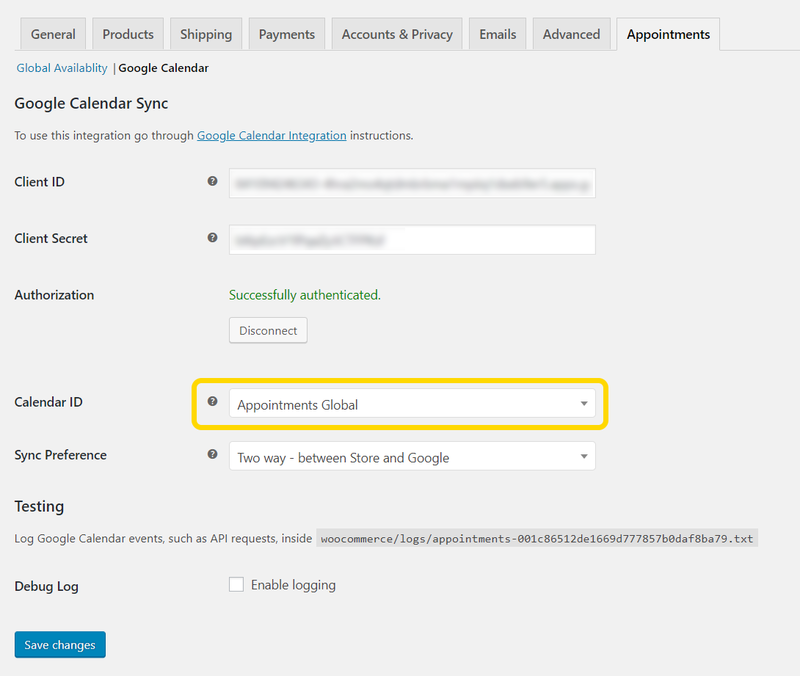 Appointments, added through your WordPress powered website are automatically synced to your Google Calendar. The booking changes you make on the calendar are synced back to your website instantly. This way, everything is in perfect sync at all times.